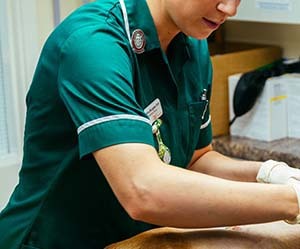 Veterinary nurses and student veterinary nurses play a vital role within the veterinary team and veterinary nursing can and should be a very rewarding career path. It came to light, however, in the course of a consultation exercise conducted by the RCVS in 2017, that there is some confusion amongst veterinary surgeons and veterinary nurses about the legal framework contained in Schedule 3 of the Veterinary Surgeons Act, within which veterinary surgeons can delegate certain tasks and procedures to veterinary nurses and student veterinary nurses. The legal framework for the role of the veterinary nurse and student veterinary nurse is unfortunately not without its ambiguities and could benefit from updating. 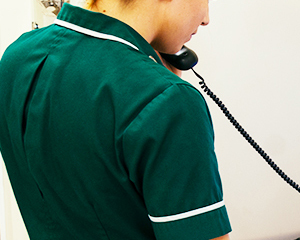 We therefore want to help veterinary surgeons, veterinary nurses and student veterinary nurses feel confident that they are working legally and safely, and ensure that veterinary nurses and student veterinary nurses are fully utilised in satisfying roles. This case study-led feature is intended to provide clarification about the requirements of the current Schedule 3 exemption for veterinary nurses and student veterinary nurses and should be read in conjunction with Chapter 18 of the supporting guidance to our Code of Professional Conduct – ‘Delegation to veterinary nurses’. For clarity, the position regarding Schedule 3 has not changed and we are not seeking to pronounce new rules or requirements. 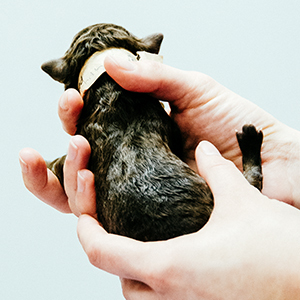 We are committed to developing the role of the veterinary nurse to fit the demands and possibilities of modern veterinary medicine, but this will take time and, more critically, new legislation. In the meantime, we hope to provide more help to assist everyone to work within the current legal framework. 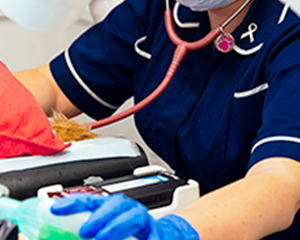 The following five case studies demonstrate how veterinary nurses and student veterinary nurses can work within Schedule 3 and what they can do when working independently. 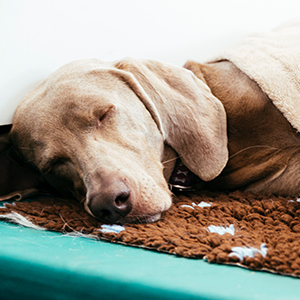 They are intended to assist both veterinary surgeons and veterinary nurses in understanding how Schedule 3 applies in everyday clinical practice. The following four case studies demonstrate what falls outside the Schedule 3 exemption. Cassie the cross-breed needs a blood sample taken. Adrian the vet knows that Cassie is a very mild-mannered dog and is always well-behaved at the vets. Adrian has a student veterinary nurse, Ben, who has taken IV blood samples before and so he asks Ben to take the blood sample. Adrian asks his registered veterinary nurse, Carrie, to supervise Ben. Carrie says to Ben she will be in the next room should he need her. This satisfies the requirement for Ben to be supervised. 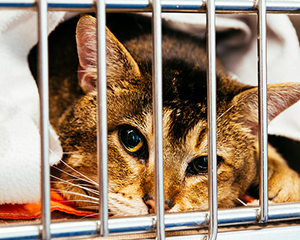 Supervision can be performed by a veterinary surgeon or registered veterinary nurse, and requires the person supervising to be present on the premises and able to respond to a request for assistance if needed. Please note: supervision for minor surgery must be direct, continuous and personal, which means that the person supervising is present and giving the student veterinary nurse their undivided personal attention. Daisy is a student veterinary nurse who is working hard and impressing her colleagues with her skills and ability to pick things up quickly. She is scheduled to work her first solo night shift tonight. She has a handover with the vet, Elaine, as there will be an inpatient to look after – Horace the cat who has had orthopaedic surgery today. Elaine explains that Horace will need 0.9mg of Methadone at midnight. Daisy reminds Elaine that as a student veterinary nurse she needs to be supervised when giving medical treatment, such as intramuscular (IM) injections, and so, being alone in the practice tonight means that she will not be able to do this. Elaine therefore decides that she will need to pop back to the practice at midnight in order to administer the Methadone to Horace herself, or supervise Daisy as she does it. IM injections are considered a Schedule 3 activity and so a student veterinary nurse must be supervised. Finn, the vet, popped out to buy some lunch about 20 minutes ago leaving Gill, the veterinary nurse, alone in the practice with the receptionist, Helen. A man walks into the practice and explains that he would like his new puppy vaccinated today. Helen is new to the practice and says that Gill could see him right now. Helen knows that Gill does many vaccinations every week. Gill politely explains to the puppy owner that she is not actually able to give the vaccination right now as the puppy needs to be seen by Finn first. Thankfully, Finn returns five minutes later and, sensing the embarrassing situation with the new client, says that he will perform a clinical assessment of the puppy – his sandwich can wait! Finn is happy that the puppy is fit to be vaccinated and so he asks Gill to administer the vaccine while he resumes his lunch break. He adds that Gill may give the second vaccination in due course. Gill administers the vaccine and completes the vaccination record card in her name, adding ‘under the direction of Finn MRCVS’. She asks Helen to make an appointment with her for two weeks’ time when the puppy will return for its second vaccination. 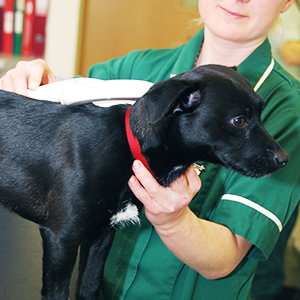 There must be a clinical assessment by a veterinary surgeon before a first vaccination is administered. Once this has been done, a registered veterinary nurse or student veterinary nurse can be directed to administer the vaccination and they can be authorised to administer the subsequent vaccination/s in the course. Booster vaccinations are different, and require a fresh clinical assessment by a veterinary surgeon. Laura has been a veterinary nurse in London for 10 years. She has recently left practice and started a dog-walking and dog-sitting business. At the start of her career, within a veterinary practice setting, she learnt how to implant microchips in dogs and did this regularly. Laura decides to extend her new business to include microchipping, relying on her previous training and experience. She is thinking about asking her cousin, Melanie (a layperson who has never implanted a microchip) to help out in the business from time to time, but understands that Melanie would not be able to implant microchips in dogs without attending an approved training course. Section 9(1) of The Microchipping of Dogs (England) Regulations 2015 states that the following persons may implant microchips: (a) veterinary surgeons or veterinary nurses acting under the direction of a veterinary surgeon; (b) student veterinary surgeons or student veterinary nurses acting under the direction of a veterinary surgeon; (c) anyone who has been satisfactorily assessed on a training course approved by the Secretary of State for that purpose; or (d) anyone who before the day on which these Regulations came into force (24 February 2015) received training on implantation which included practical experience of implanting a microchip. In the context of her own business, Laura is not a veterinary nurse working under the direction of a veterinary surgeon so cannot rely on section 9(1)(a) but she can rely on section 9(1)(d) due to her prior training and experience. The Microchipping of Dogs (Scotland) Regulations 2016 and The Microchipping of Dogs (Wales) Regulations 2015 contain similar provisions. Nicola is a veterinary nurse working in mixed practice in England. She has only recently joined the practice having spent the first five years of her career in small animal practice. One of the large animal vets, Olivia, has asked Nicola to join her on a farm today to help with the disbudding of some three-month old calves. Nicola has not done this before and says she does not feel confident doing this procedure without at least observing first. Olivia is very understanding and suggests that she takes a veterinary nurse more experienced with farm animals, Phoebe, along as well so that Nicola can observe. Phoebe has worked with Olivia for several years and has helped with disbudding on many occasions. Olivia is satisfied that Phoebe can use the hot iron safely and administer the local anaesthetic effectively. Both the delegating veterinary surgeon and the veterinary nurse must feel comfortable with the delegation. Nicola was right to say that she did not feel confident doing the procedure. The following case studies demonstrate what falls outside the Schedule 3 exemption. Rachel is a veterinary nurse employed in a small animal practice. Her hairdresser, Sharon, has a bulldog, Betsy, that she would like to breed from. Sharon asks Rachel if she would pop round at the weekend to take a blood sample from Betsy so that she can send it off to another friend of hers who performs progesterone testing. Rachel agrees. On Friday, while at work, Rachel asks her boss, Tom, if she can take a blood-sampling kit home to help out a friend at the weekend. Tom asks Rachel what exactly she needs it for. Tom explains to her that she cannot have the blood-sampling kit because she should not be performing an IV blood sample independently. Rachel argues that she does this all the time in practice and is competent to do it. Tom understands that but explains that Betsy is not under his care and he has not directed Rachel to take the blood sample, in other words, she would not be working within the requirements of Schedule 3. Rachel calls Sharon to explain that she will not be able to help her this weekend and advises her to take Betsy to a veterinary practice. Taking an IV blood sample is a Schedule 3 activity. Veterinary nurses working independently of a practice and without a veterinary surgeon’s direction cannot perform Schedule 3 activities, regardless of their training and experience. Una, a student veterinary nurse, is performing a dental scale and polish on an elderly dog under the supervision of Vicky, a veterinary nurse. Una notices that one of the dog’s teeth is loose and so she asks Vicky to pass her the extraction forceps so that she may pull it out. Vicky explains to Una that neither of them can use the extraction forceps. Vicky explains that they should be asking a vet to come and look at the tooth in question and then, if the vet decides that it should be removed, it should be the vet who uses the extraction forceps to remove the tooth. Vicky reminds Una that veterinary nurses and student veterinary nurses are only permitted to perform minor surgery, and to use instruments to remove a tooth goes beyond minor surgery and is contrary to RCVS supporting guidance. RCVS supporting guidance point 18.14 specifically excludes the extraction of teeth using instruments. However, veterinary nurses and student veterinary nurses are permitted to extract teeth that are loose enough to be removed using fingers. Tigger the cat has had blood in his urine and his owner thinks he is in pain when he urinates. His owner has brought him to the vets to be checked out. Tigger is seen by Wendy, the vet, who decides that a urine sample should be taken using cystocentesis. Wendy goes in search of her veterinary nurse, Tim, as she thinks this would be a great new skill to teach him. Wendy collects the urine sample herself but Tim assists. To perform cystocentesis would amount to entering a body cavity as this involves passing a needle into the bladder through the bladder wall, traversing the abdominal cavity. Schedule 3 specifically excludes the entering of body cavities. Isla and Jess are veterinary nurses working with Kath, the vet. Kath has asked Isla to administer 0.2mg of Buprenorphine to a dog that has a wound. Isla thinks Kath has miscalculated how much Buprenorphine the dog needs, but rather than go back to Kath to check, she sets about drawing up 0.1mg instead. Jess saw what Isla did and, having heard Kath’s instructions to Isla, tells Isla that she shouldn't be the person to do this. Jess explains that Isla should discuss this with Kath and that she should be very careful not to make independent prescribing decisions like this. Veterinary nurses have no legal dispensation to prescribe medicines. This would be beyond the scope of the Schedule 3 exemption.